Umiのいえ～いのち・こころ・からだ・くらしの学びあいの場～横浜: 6/28　ローズウインドウを作ろう！　Let's create a rose window! ★read the English blog below. 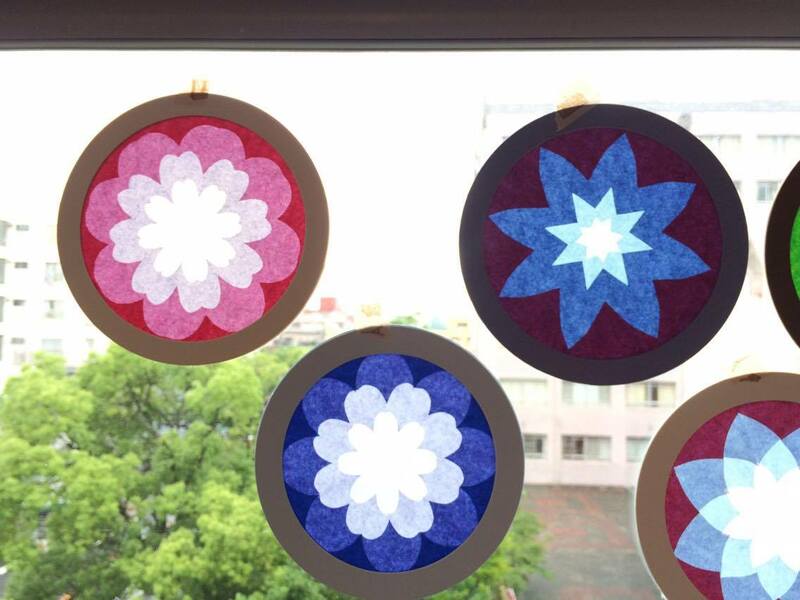 6/28　ローズウインドウを作ろう！　Let's create a rose window! ★read the English blog below. 6/28 Let's create a rose window! One of the most beautiful parts of every cathedral is the stained glass window called a rose window. 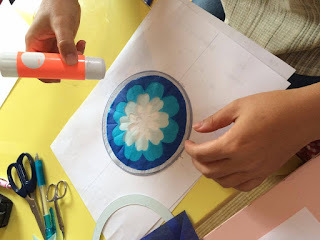 In this class, you can create your own work of beauty based on these centuries-old works of art by using colorful papers. and we saw flowers or stars. 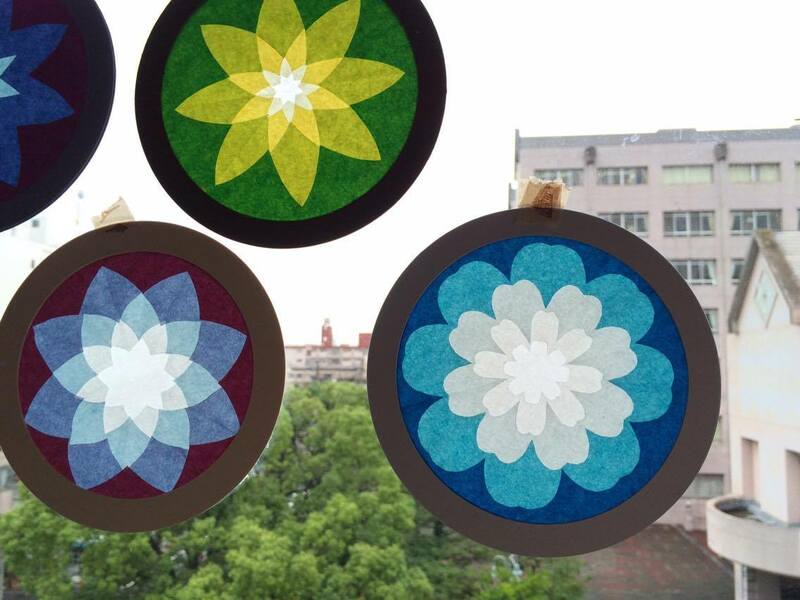 As a matter of fact, the great nature is related with geometry. We put a paper on top of another. 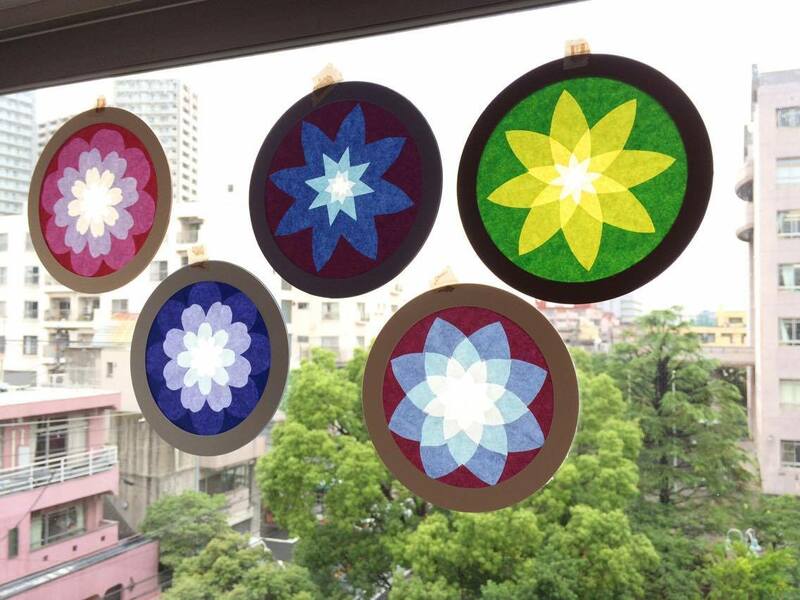 Then we were able to see a beautiful pattern which we created by ourselves. I'm not good at handiworks, but I really enjoyed creating a rose window today. I was so into it that I lost track of time till I looked at the clock to realize that an hour had already passed! She has joined a variety of activities and events in Yokohama Steiner School with her children for more than 10 years. 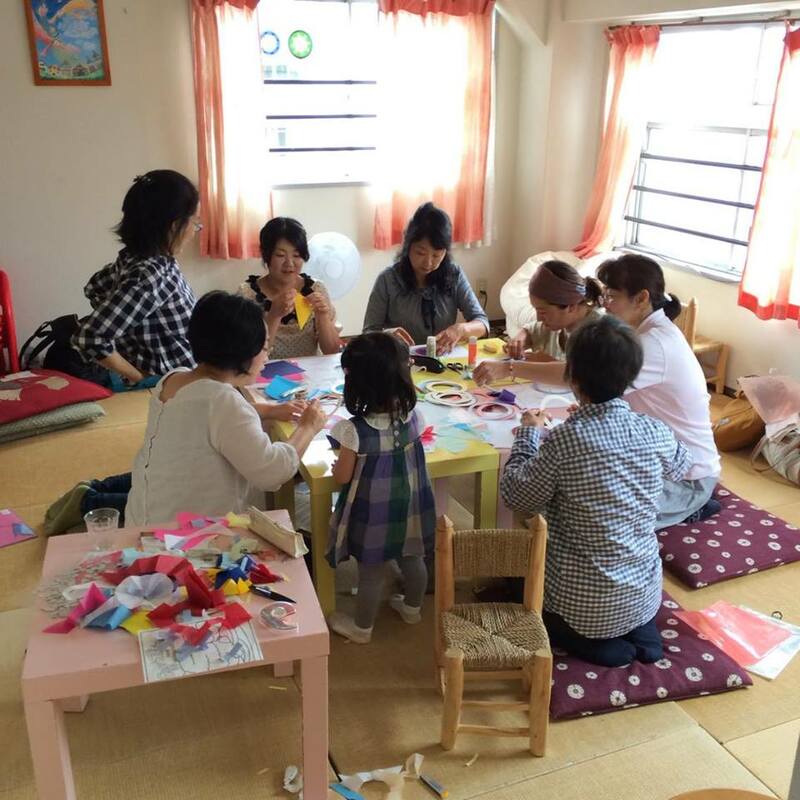 In the "teshigoto no Kai" ( Japanese for handiwork club) there, she has learned handiworks which is based on the educational philosophy of Rudolf Steiner. She has three children: 12-year-old girl, 9-year-old boy and 5-year-old girl.